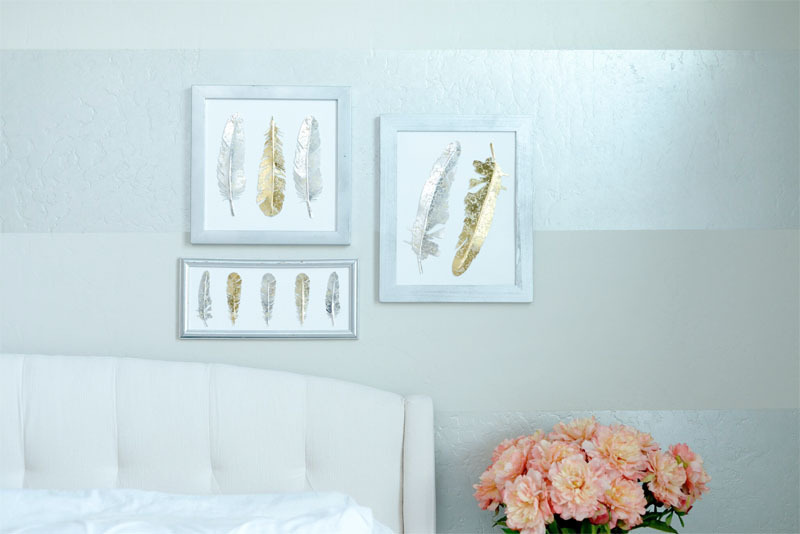 Create a feathered wall décor display for your bathroom, bedroom, living room, craft room, and more! Using the template cut the feather shapes to make as many feathers as desired. Score and fold each feather in the center. Turn the feather while scoring to create a curved score line, similar to one found in an actual feather. Line frames with plain cardstock or watercolor paper. Adhere feathers to the center of the paper with dimensional foam squares. Customize the feathers by using different prints or solids in lieu of the Mercury Glass stack. When creating a frame grouping of feathers, remember to do so in odd numbers. That will keep the end results looking nice and balanced. Adjust the size of the feathers by enlarging or reducing the original template size.